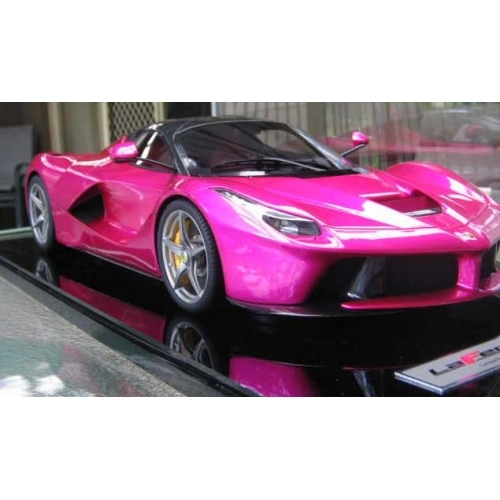 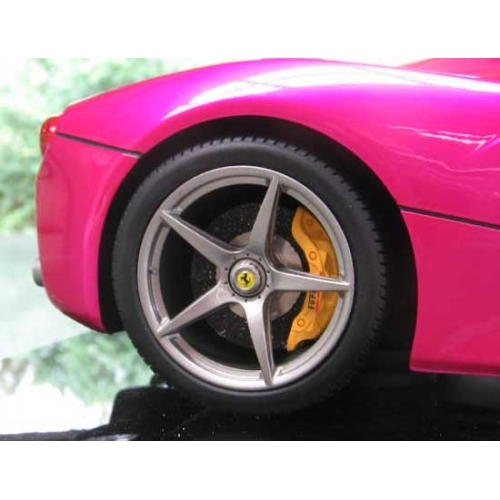 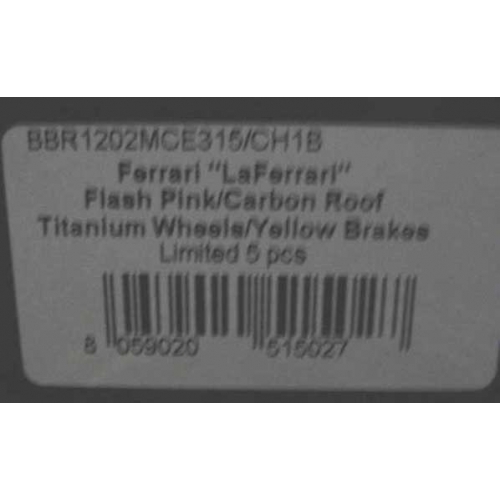 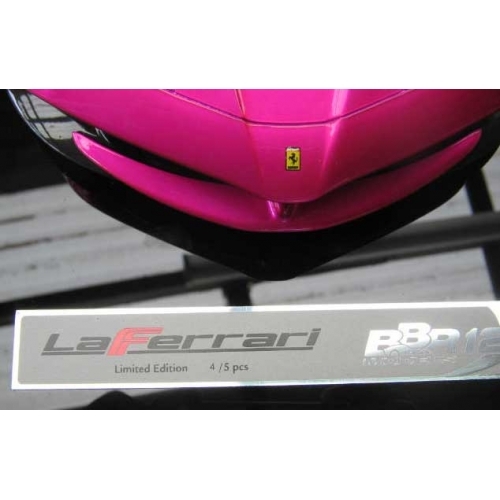 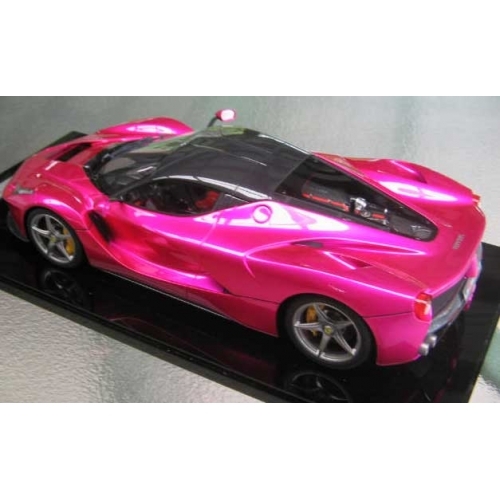 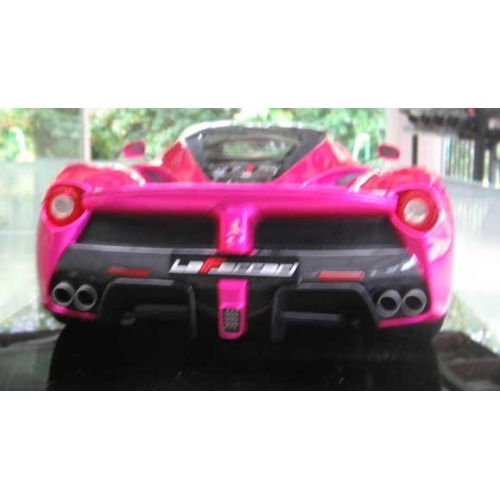 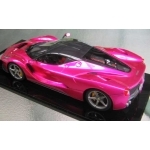 A superb BBR La Ferrari 1/12th scale one of 5 pieces world wide, from Model Car Expo in Hong Kong,sole world distributor for special one of 5 series colours, this one in stunning Flash pink with Carbon Fibre roof and Yellow brake calipers, making it totally unique of the 5. 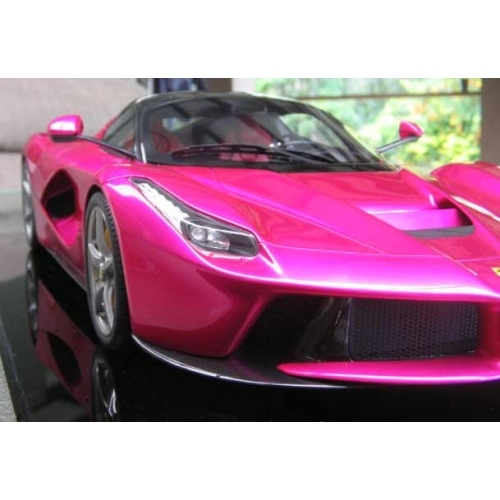 Number 4/5. 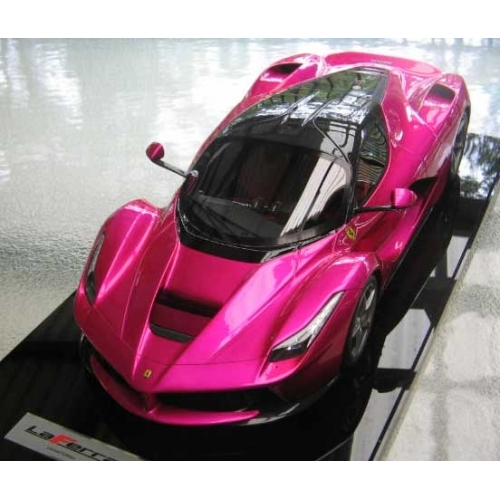 To own one of these will be like owning a piece of art and never to be done again. 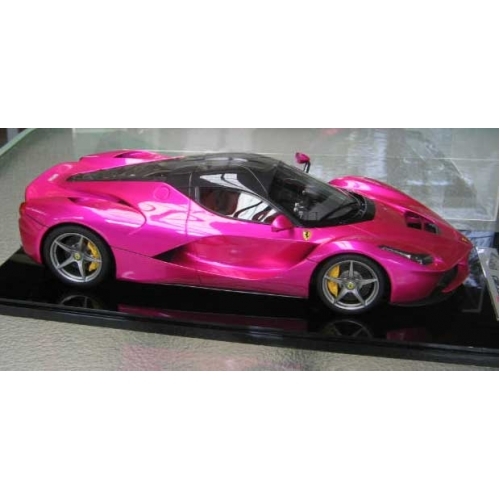 This would be the talking point of your collection! Mailing for this car would be to Quotation from Post office and insured of course. 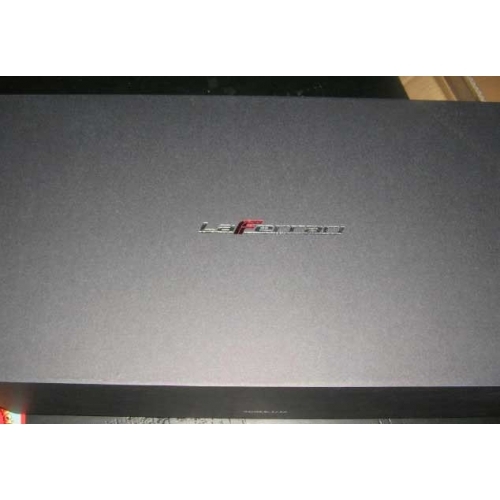 The car comes on a black Acrilyc plith, with clear cover, then loads into a front opening very thick black presentation case with black thick over cover, then into a white card box, then an inner posting box and then into a larger outer posting box with styro foam lining corners. 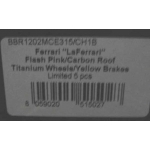 This is well packed! 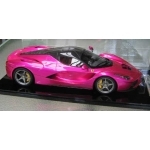 See 1/18th and 1/43 scale cars compared to it in the photo.